A lecture entitled “Prelude to Nationhood: Macedonism in the 19th century” will be presented by Dimitri Gonis at the Greek Centre, on Thursday 31 August 2017, as a part of the Greek History and Culture Seminars offered by the Greek Community of Melbourne. According to Dimitri Gonis, the Greek consensus, both in the homeland and diaspora, is that the 'modern Macedonian nation is a recent and artificial construct; an exclusively Titoist initiative brought into existence with the establishment of the People's Republic of Macedonia in 1944. Central to the 'modern Macedonian' narrative has been Macedonism; an ideology commonly viewed as an extension of Tito's aim to convert geographical Macedonia's Slavs and Slavophones into ethnic Macedonians. There is however evidence which suggests that Macedonism i.e., the notion of a 'Macedonian nation', albeit limited to a few individuals, already existed in the middle of the 19th century. It has, for example, been suggested that the linguistic endeavours of certain Macedono-Bulgarian educators during this period is clear evidence of an emerging linguistic Macedonism; in other words, a nascent but extant 'Macedonian consciousness'. 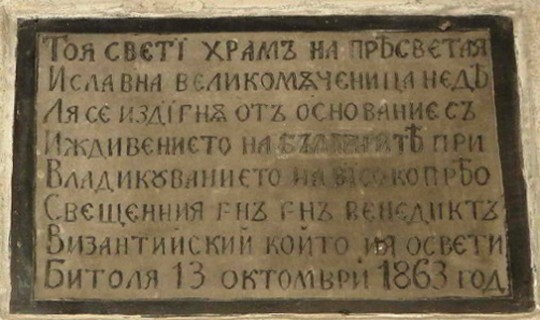 This talk discusses the emergence of the first Macedonists and at least one man's clear definition of 'Macedonian nationhood', placing early Macedonism within the context of 19th century nation-building. Dimitri Gonis is a freelance writer and poet as well as a translator of academic articles and one book. For the past seven years he has worked as a sessional lecturer at La Trobe University, where he teaches he teaches a number of subjects: 'Ethnic and Civil Conflict in Southern Europe and in Cyprus', 'Transterritorial Hellenism' and modern Greek. He is currently completing his PhD which is titled: The Politics of Memory and Nationhood: Neo-Macedonism in Australia.